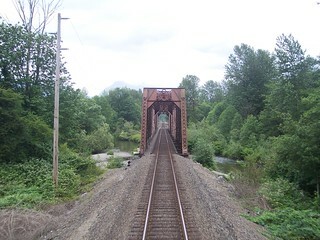 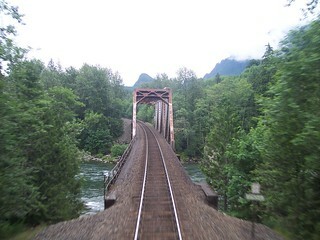 After crossing the Snohomish River we cross and continue to follow the Skykomish River. 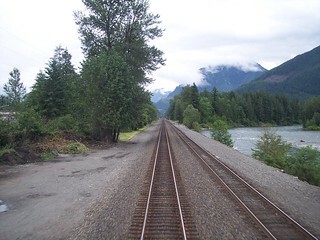 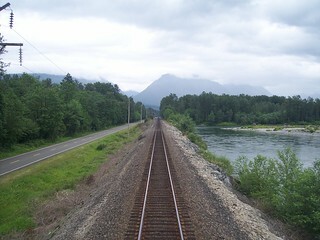 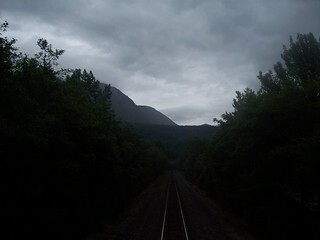 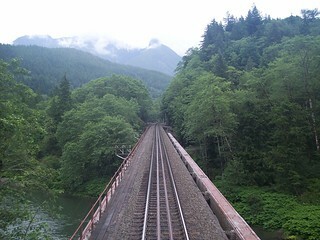 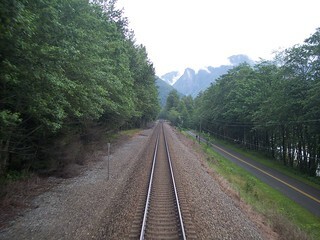 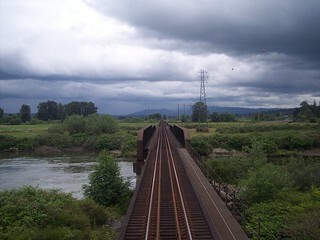 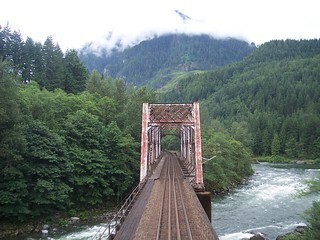 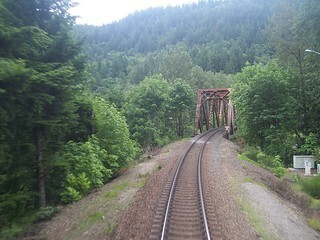 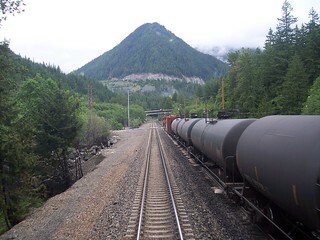 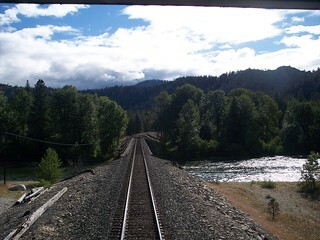 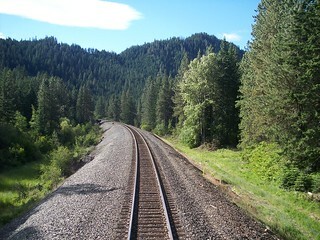 We follow the Skykomish River across the plains and into the mountains. 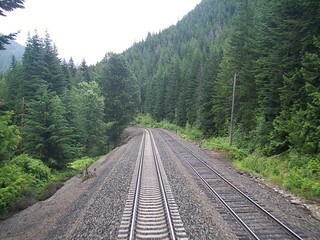 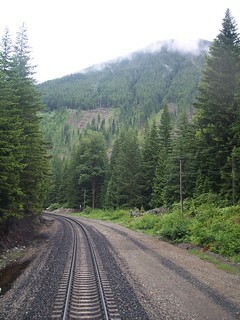 Riding through the lush green forests on the west side of the Cascades. 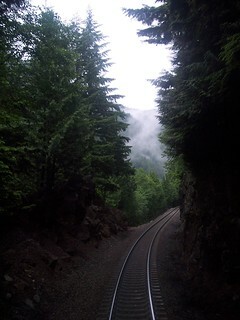 The tall trees encourage portrait rather than landscape photos. 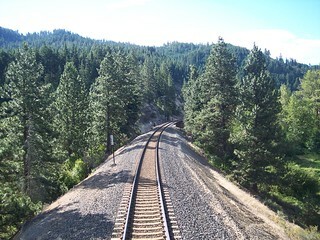 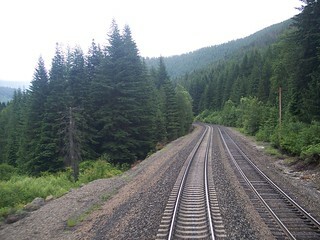 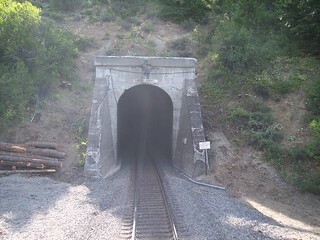 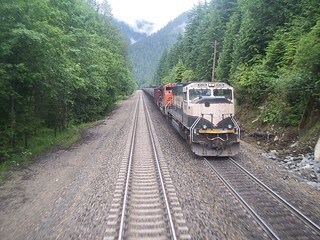 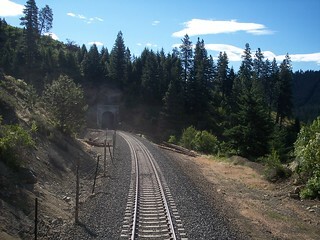 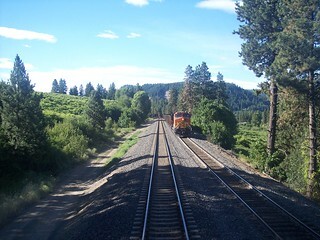 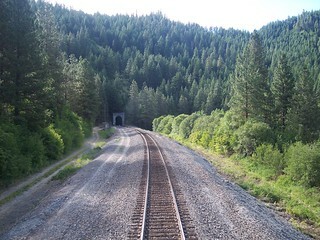 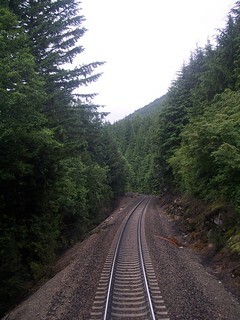 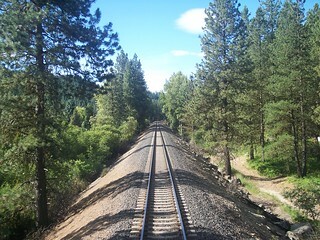 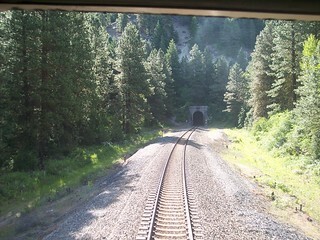 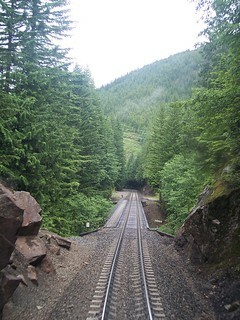 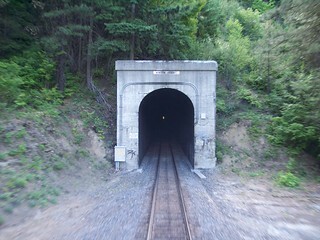 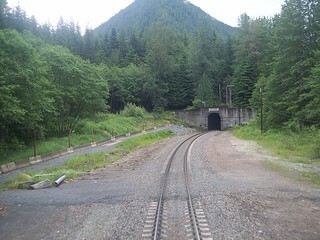 Approaching and exiting the over 7-mile long Cascade Tunnel. 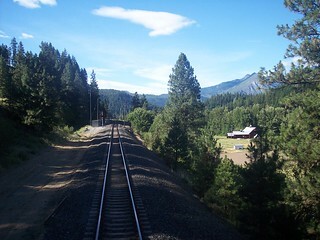 Now that we are on the east side of the mountains we are greeted by a bright sunny day. 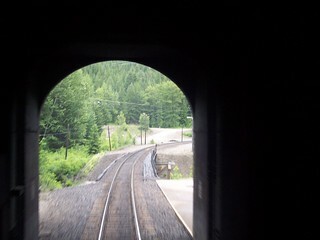 Entering the Winton Tunnel and then approaching the Swede Tunnel. 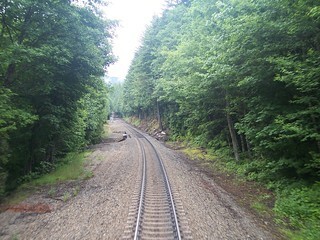 The trees begin to thin as we come down out of the mountains.